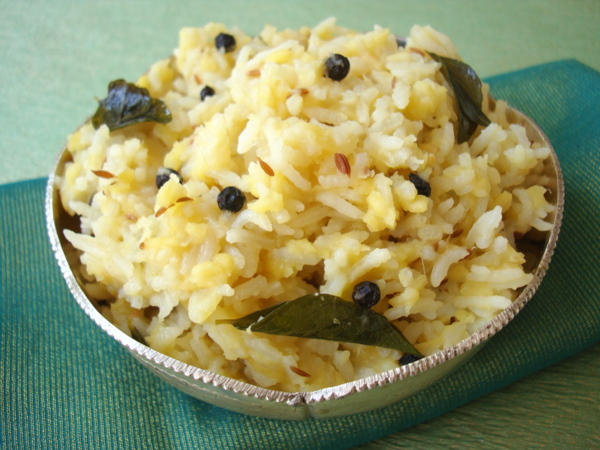 Katte Pongali is a traditional Andhra style rice and moong dal recipe that is often served in temples as Prasadam (Prashad). 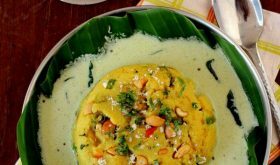 Nothing like a creamy, fragrant, warm bowl of Pongali especially during winters. There is something unique about the blending of earthy lentils with starchy creaminess of rice. Its pure comfort food. 1 Wash the rice and dal and keep aside. 2 Meanwhile in a heavy bottomed vessel or pot, heat ghee. Add the cumin seeds, let them splutter and turn slightly brown. Add the curry leaves, green chilies, black pepper corns, asafoetida and ginger and fry for a few seconds. 3 Add the drained rice and dal and mix with spices and fry for a few seconds. 4 Add water and salt and pressure cook till the rice and dal are cooked and soft. If cooking over stove top, bring water to a boil, reduce flame and place lid. Cook till the water is completely absorbed and the Pongal is cooked. 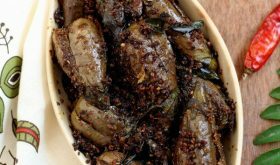 5 Garnish with fried cashwenuts and serve Pongali warm. 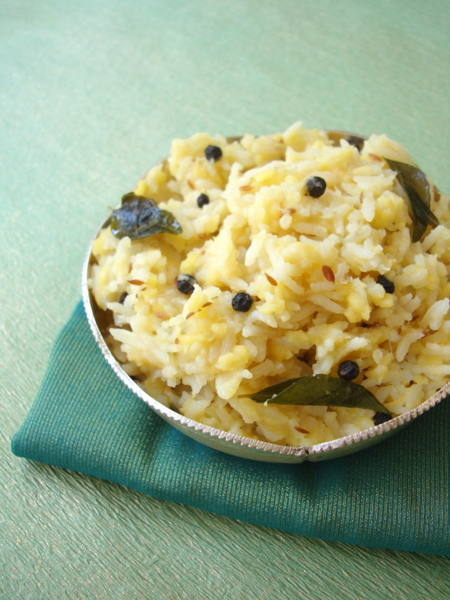 Any variety of rice can be used like sunnalu or sona masuri. Do not omit ginger and black pepper corns. Wishing all my dear readers a Happy Dusshera! 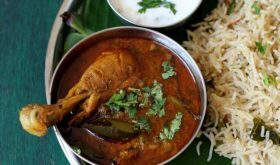 For how many whistles do I have to cook the pongal? 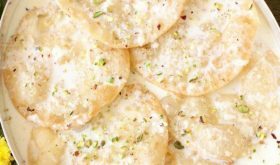 pongal looks delicious ans so tempting pictures sailu !!!!!!!!! Tried your recipe yesterday…was a big hit! Nenu Telugu biddane. I always thought Pongal is Tamil dish. Guess I am wrong. 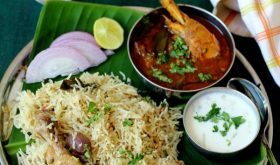 Sailu Thanks for ur wonderful recipes which u have posted..
We really loved ur food style especially ur non veg items are amazing.